Thank you for sharing your positive experience from your recent stay with us! I am glad to hear that you enjoyed the services provided by the members of our staff. I will be happy to share your comments with the whole team. Moreover, I am delighted to read that our culinary offer and the rooms met your expectations and that the interior of the hotel was to your liking. It was a pleasure to have you as our guest, I hope you had a safe trip home and look forward to welcoming you back in the future! Hemos pasado el dia en el spa. Cuesta 30 euros por persona para todo el día. Tiene 2 piscinas cubiertas grandes, una con chorros, la otra con agua templada. Un hamman precioso, un baño turco, jacuzzi y una sala de relax. Por ese precio puedes usar el gimnasio también, que tiene un tamaño pequeño pero bastante completo. Te dan toalla, zapatillas y albornoz. También tienen varios puntos en los que hay agua con limón y romero que puedes servirte. Nos ha encantado. I would like to thank you for your nice comment about your stay with us. 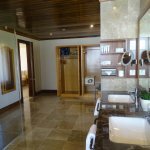 I am glad to read that you enjoyed your time with us and that our spa facilities and especially the hammam met your expectations. Thank you for choosing Kempinski San Lawrenz for your holidays and I look forward to welcoming you back again soon ! Buena comida, excelente atención y las habitaciones amplias, bien equipadas y limpias. También hice uso del Spa, fue muy agradable y relajante. Los jardines son hermosos, tienen una amplia alberca excelente para el verano. Thank you very much for taking the time to provide us with such a positive review. I am happy to learn that your accommodation, our spa facilities and the service provided by our attentive staff met your expectations. I hope you had a safe trip back home and I look forward to welcoming you back to Kempinski Hotel San Lawrenz soon. 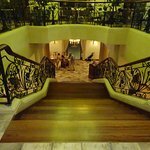 Gran Hotel, fantástico personal y una localización perfecta si lo que quieres es desconectar del mundo! El hotel se encuentra a 10min a pie del conocido Azure Window y a unos 20 min en coche del muelle de Mgarr desde donde salen los ferries hacia Malta. Dentro de hotel encontraras diferentes restaurantes y un gran desayuno para comenzar el día, así como un gran Spa. En gozo hay bastantes rincones por descubrir, tanto a pie como con bicicleta. Sin duda un lugar para recomendar! 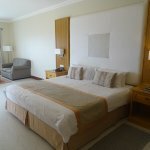 Thank you for your recommending Kempinski Hotel San Lawrenz, MichaelJNN! 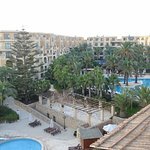 It is nice to read that you enjoyed the remote hotel location and that you had the chance to explore the lovely island of Gozo. Your positive comments on our breakfast buffet, spa facilities and particularly our staff are highly appreciated. 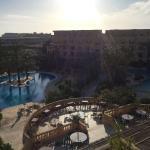 I am happy that you had a great stay with us and we do hope to welcome you back to Gozo very soon. el mejor desayuno de todos. Thank you for taking the time to share these wonderful comments! 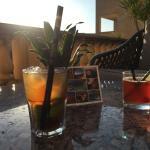 I am happy to read that you had a relaxing stay with us and that you enjoyed the view from our L'Ortolan terrace. Our Reception Team appreciates your commendation on their service and we look forward to delivering further great hospitality experiences on your next return. We hope to have the occasion to welcome you again at Kempinski Hotel San Lawrenz.